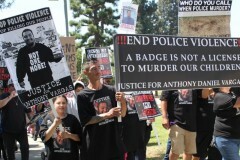 Family and community protests at East LA Sheriff’s station demanding “Justice for Anthony Vargas” | Fight Back! 21-year-old Anthony Vargas was shot 14 times - twice in the head - and killed by the East LA sheriffs on August 13. LA sheriffs were called to apprehend a suspect in a robbery. But now the sheriffs say Vargas may have been a mistaken suspect. The Vargas family, Centro CSO members and members of the community held a large picket line on the sidewalk in front of ELA Sheriff’s Station, followed by a march to the entrance of the building. 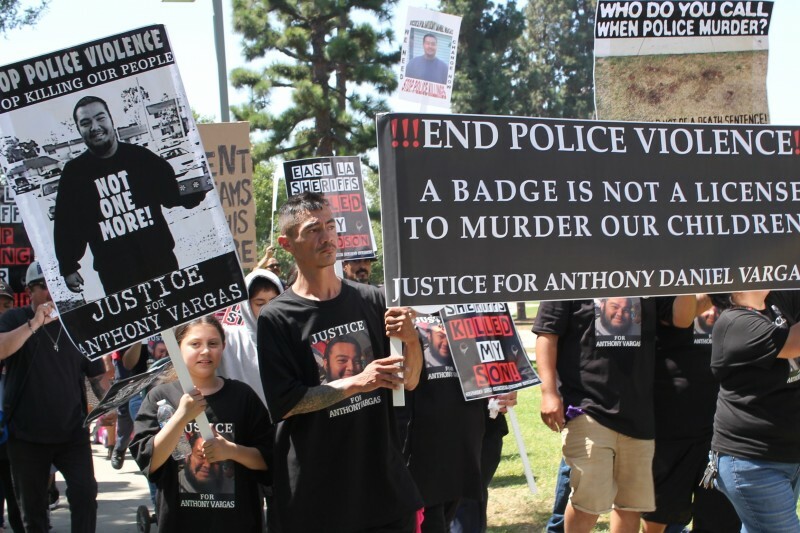 There, an angry rally demanded justice for Anthony Vargas, the release of the names of the killer cops, and for the cops to be prosecuted and jailed. Vargas was an enthusiastic fisherman, attended Garfield High School, taught bible classes and was well-liked. Vargas’ friends from the Maravilla Projects attended in support of the Vargas family. Centro CSO is working with the Vargas family and uniting with other families in Boyle Heights and East LA who are also victims of Los Angeles Police Department and Sherriff’s Department killings. Centro CSO supports all families and communities in demanding that Los Angeles District Attorney Jackie Lacey prosecute police in the killing of Chicanos, Blacks and Latinos.